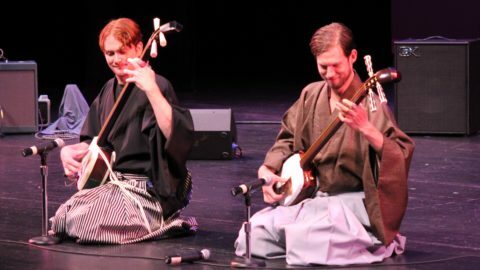 As one of the few experienced Shamisen professionals in the US, Kyle brings his 12+ years of shamisen experience to the world. 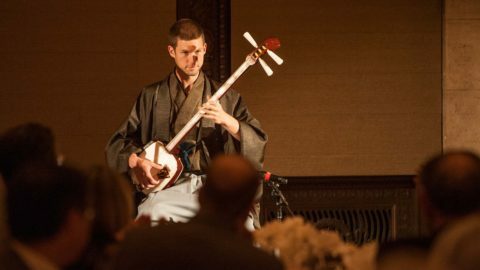 From wedding anniversaries and corporate events to full concerts and festivals, Kyle performs powerful traditional Japanese classics from Northern Japan in a style called Tsugaru Shamisen. 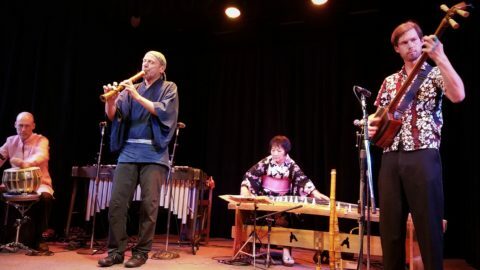 He also leads educational workshops and private lessons. Founder of the Bachido (International Shamisen Community), Kyle pioneered the strong movement to connect shamisen enthusiasts in a positive global community and develops teaching materials for everyone to learn shamisen. 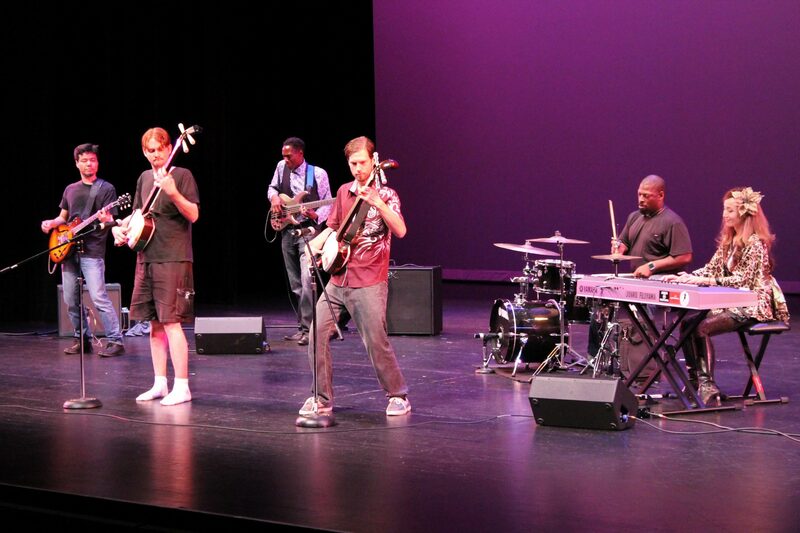 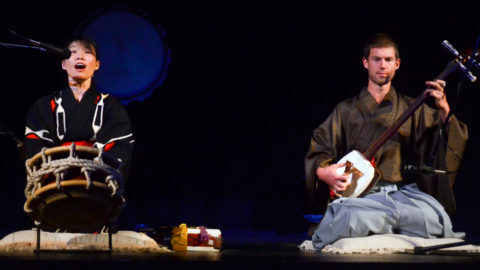 Since the age of 14, Kyle Abbott has passionately dedicated himself to the Japanese shamisen. 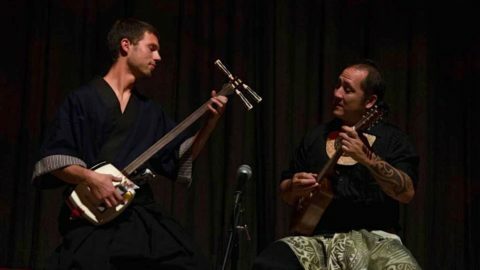 From learning how to play and build the instrument, all the way to becoming a professional performer and teacher of the shamisen. 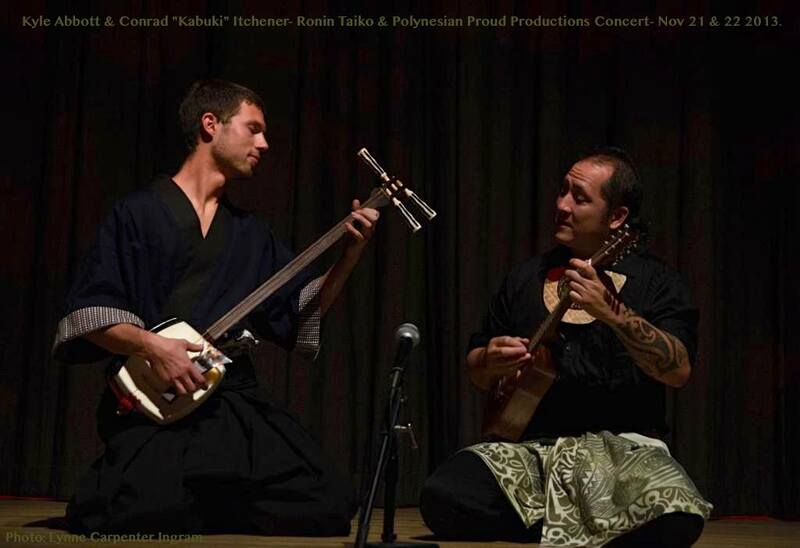 With his performance and international workshops, Kyle seeks to inspire the world with the Japanese shamisen. 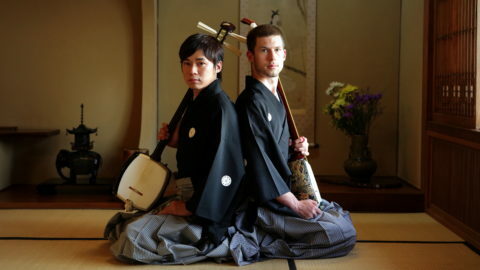 In 2011, Kyle founded Bachido – the world’s first international shamisen community. With a goal to bring shamisen enthusiasts together, Kyle has created online lessons, resources and a community. As of now, over 1600 members of Bachido have enjoyed hours of educational content and shared ideas with each other in the rich community forum. 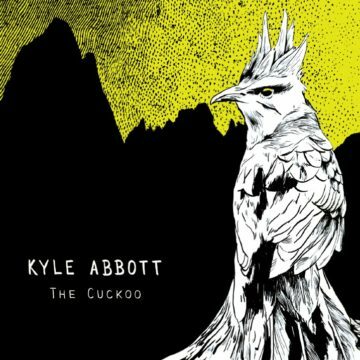 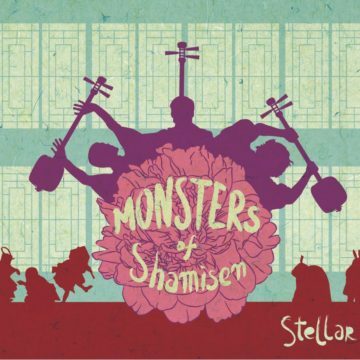 Kyle also recorded in and produced two ‘Monsters of Shamisen’ albums (‘Stellar’ and ‘Resonance’), and also recorded and produced his own solo albums, ‘The Cuckoo’ and ‘Frosty’. 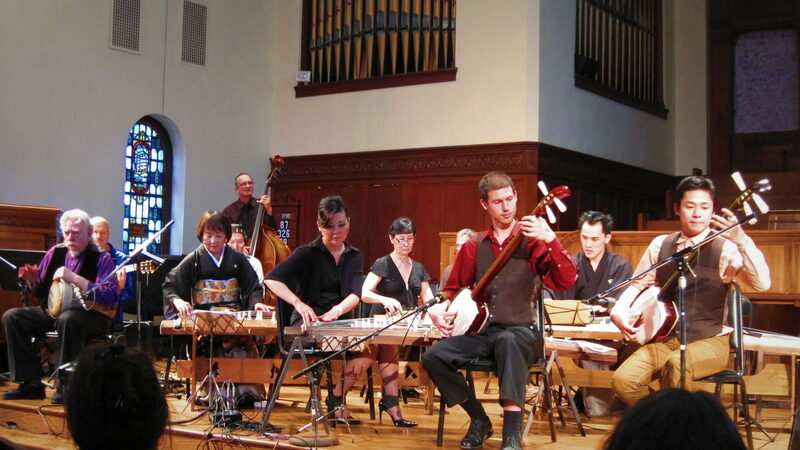 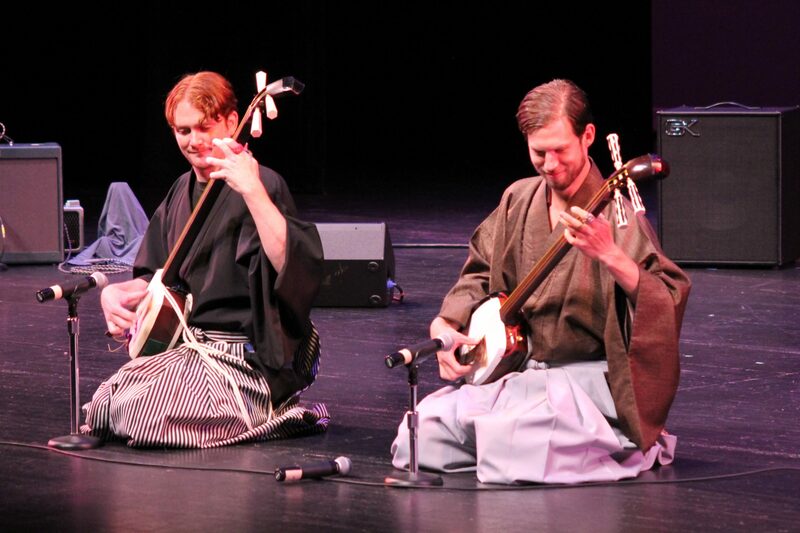 As well as shamisen, Kyle also plays shakuhachi, mandolin, banjo, guitar, bass, and other stringed instruments. 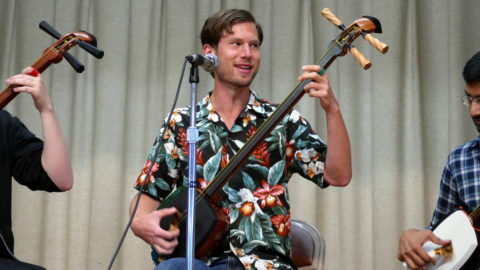 He practices Tuvan throat singing styles as well. 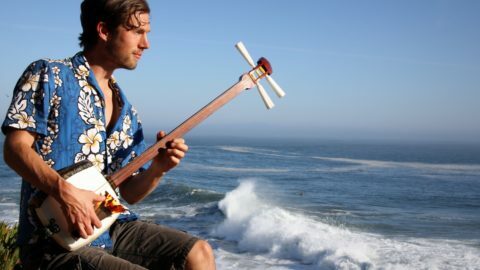 Sensing the worldwide interest in shamisen growing, Kyle realized there would be a need to connect shamisen enthusiasts together and create an accessible path to learning this instrument. 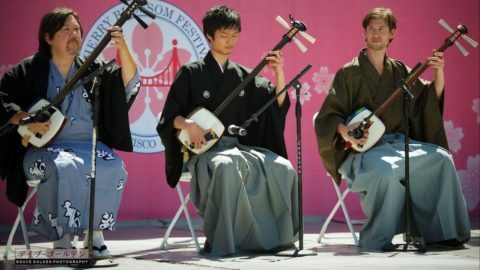 In 2011, he founded Bachido – the world’s first international shamisen community. 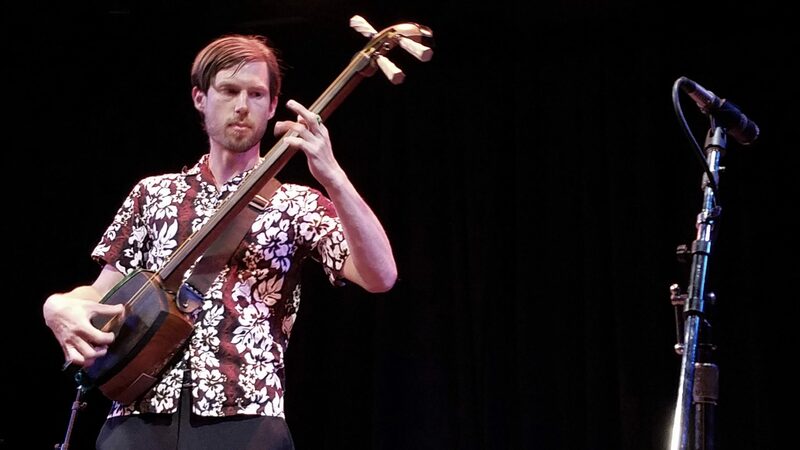 With a goal to bring shamisen enthusiasts together, Kyle and fellow instructors have created hours of online lessons, (including a Free Crash Course), resources and a community. 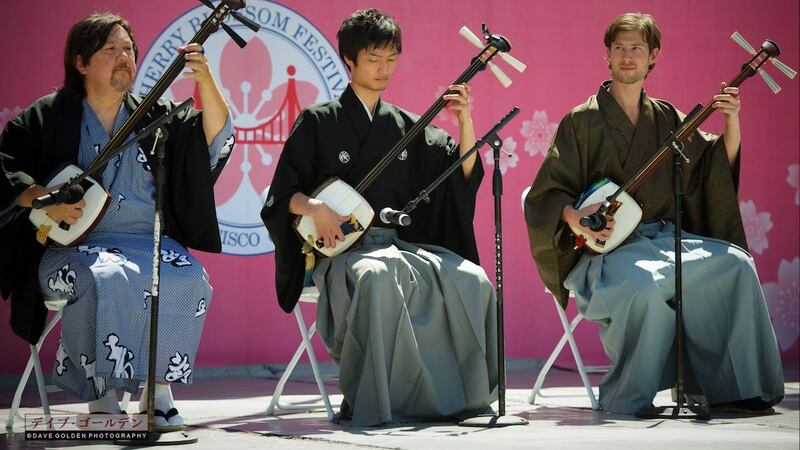 As of now, over 1700 members of Bachido have enjoyed hours of educational content, shared ideas with each other in the positive-spirited forum, and reaching towards Kyle’s ultimate goal – meeting up to play shamisen together as a real-life community! 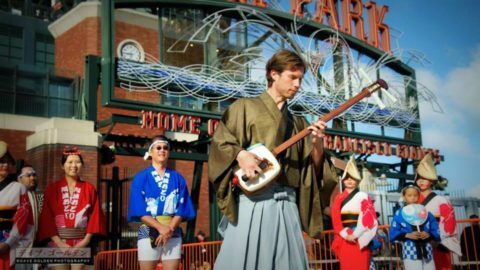 Every year since the founding of Bachido, Kyle strives to make new and creative ways to continue making shamisen fun and exciting for people. 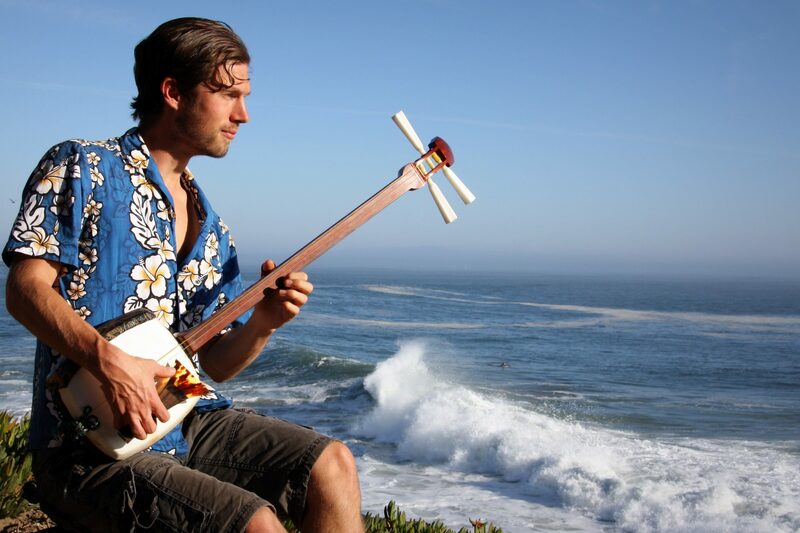 It has gone farther than he ever expected. 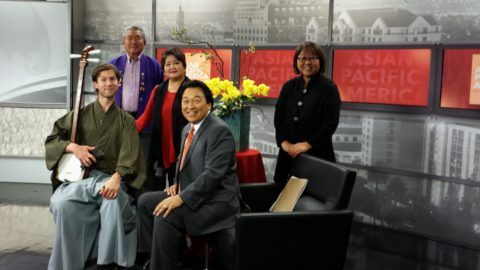 Produced 10+ in-depth shamisen video courses. Team Bachido returned to Japan and won first place. 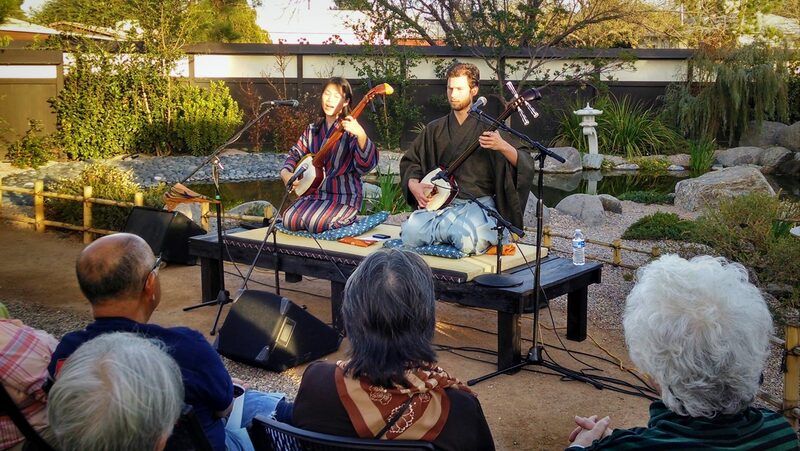 Started monthly shamisen workshops in California. 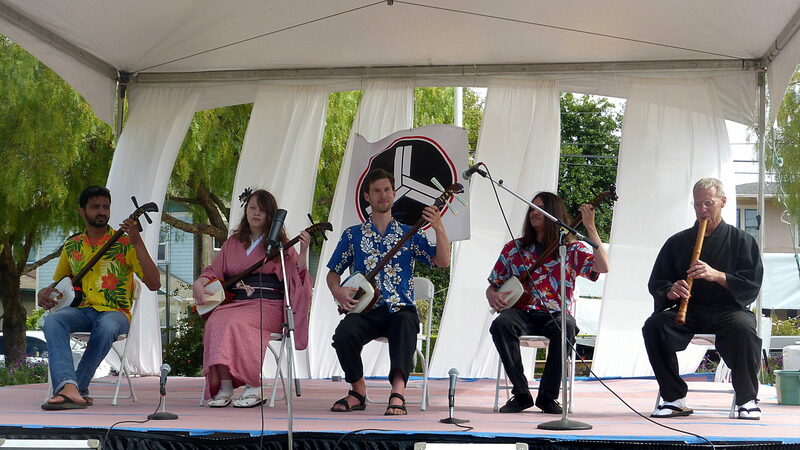 Started the Bachido Schoolhouse – Weekly shamisen video lessons with Aki Takahashi, Kevin Kmetz, Mike Penny and Kyle. 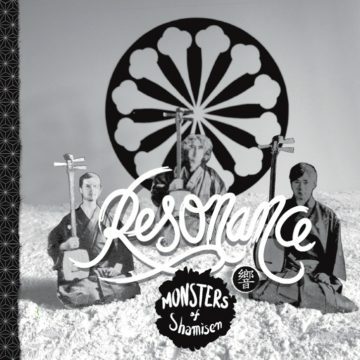 Founded ShamiCamp, the international shamisen workshop series. 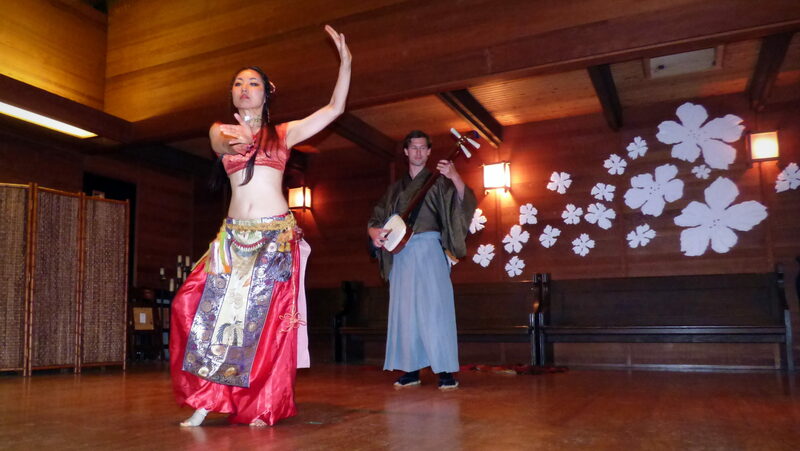 Brought ShamiCamp to California and Berlin. One of Kyle’s main goals is helping people discover just how fun the shamisen is. Kyle leads a local group shamisen class in California, and has led many shamisen workshops in the US. 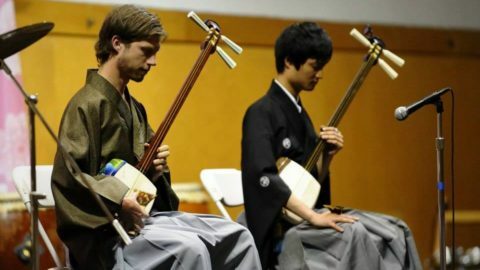 In 2015, Kyle founded ShamiCamp, the world’s first international shamisen workshop series which brings together top shamisen instructors to share their skills and inspire shamisen enthusiasts from around the world. 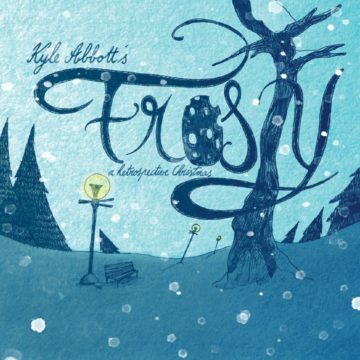 Kyle teaches private lessons, group lessons/workshops, and on Skype. 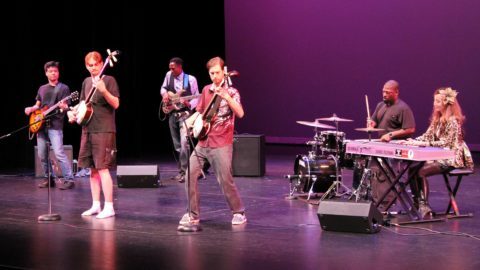 Performance/lesson inquiries and general questions welcome!